This store has such a lovely atmosphere and staff. Their fresh organic produce is excellent, and it’s nice that there’s plenty of space so you can take your time perusing their items. Good on this store for removing single-use plastic produce bags recently too. (They now offer paper and home compostable produce bags). Go for: a large fresh organic fruits & vegetables section, bulk-bin dry-goods and eco cleaning products. I shop here regularly, and it is very rare to find the store not busy (for good reason). 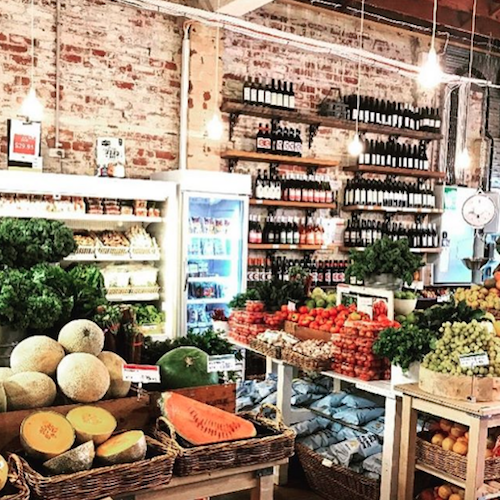 Terre Madre is a North-side institution, and it has a fantastic, large range of affordable organic products (food, beauty & eco cleaning products). They also have a wellness clinic inside. This bulk food co-op is a non-profit run by volunteers, and offers package-free food, fruit & veggies, health and eco cleaning products. It’s great for bringing in your own jars to fill up on liquid items like olive oil, vinegars, shampoo, detergents & more. You can even get non-packaged tofu here. They also have a lovely vegan cafe that has daily organic lunch specials, baked treats and fair trade teas. A mega health food store in leafy Ferntree Gully. Find bulk foods, fresh organic fruit & veggies, lots of vegan packaged foods, organic alcohol, eco cleaning, beauty products & supplements. They have a vegetarian cafe and smoothie bar too. Go for: a huge range of choice and a vego brunch (or softserve vegan icecream). I need a new pair of jeans. What should I buy that's ethical?